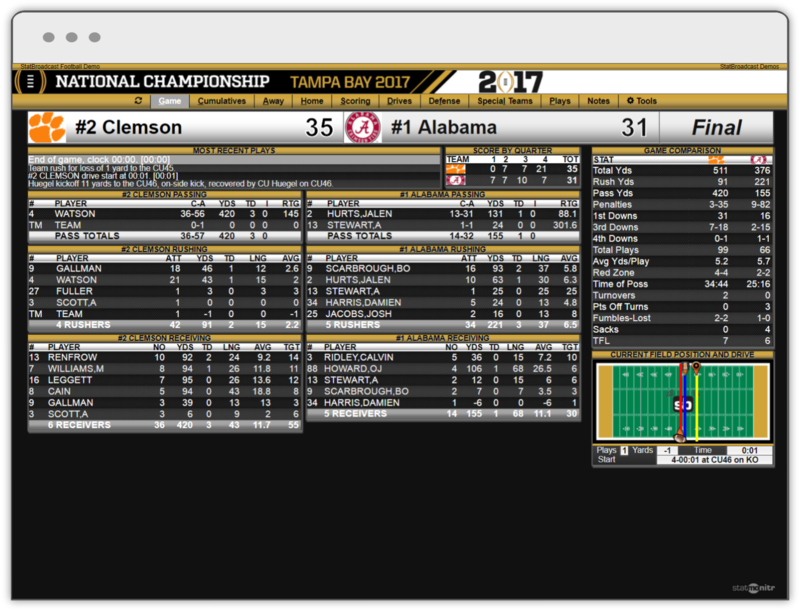 Go live and get live stats with StatBroadcast, our new live stats partnering company. Serving more than 275 universities, 30 conferences, every FBS bowl game including the College Football playoff, and NCAA championships. 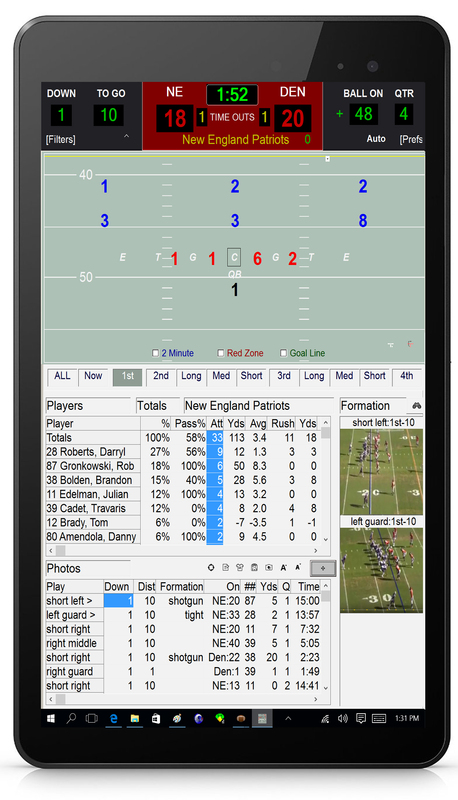 TurboScout and Sideline Pass System - Wirelessly uses data from live scoring and previously scouted games. Broadcast live stats and photos to coaches on the sidelines. Automatically displays tendencies after every play. Free video replay option also works with other replay systems. No Internet required. Free Team Website. Publish your roster, stats, schedule, team info, box scores and live webcasting all with the touch of a button. And it’s fully customizable so you have the option to publish the statistics you want. Also great for fundraising by posting advertisements. 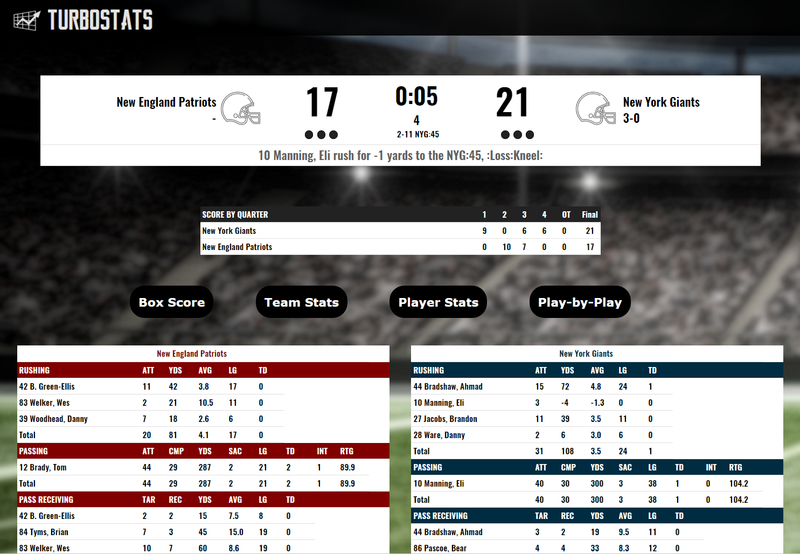 Enhanced Webcasting - View your team's box scores, team stats, players stats, and play-by-play during or after the game. Playbook - Our animated playbook has been greatly improved with 40% more viewing area in wide mode, supports portrait and landscape viewing, blackboard and turf styles, and the new cool Windows 10 style icon bar puts all the settings right at your fingertips! Works with all your existing playbook files.